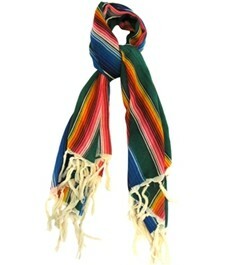 I love, love, love this AKA New York ombre scarf. It is made of lightweight wool, so it's a good transition piece. It reminds me of those gorgeous, bright Mexican blankets and will look great against all the black that I own. Kitson seems to have the best deal online. I also saw a similar scarf at Zara for a lot less money. What's up with Zara? Whenever I find something I like, they're always out of my size. I used to live by one and I'd go in there all the time and still not find my size. that's such a gorgeous scarf. so perfect for the winter since everything is always so dark and gloomy. and I totally know what you mean by Zara. It always takes me hours to actually find something that's actually my size. soo disappointing except the ones in Europe are always good with sizes. ok, now, i really WANT that scarf! i wonder if they will show up in retail stores like target? Hey Tiff, Good to see you back up and running again.